Our Online Anger Management Eight (8) Hour Course is a self paced anger management class that can be completed in the comfort of your home or on the go on your personal computer or other electronic device. It can be accomplished in as little as eight hours. The class is comprised of 9 video sessions that are approximately 15 minutes in length. Following each session you are asked to complete exercises that can be completed either in a notebook or using a word processing program. The program is designed in a format where you should spend a day to a week between each video session in order to complete each session exercise successfully. The course is completely self paced. You finish it at your own speed. In order to receive a certificate of completion, complete the short final exam that can be found at the end of the course and an automatic certificate of completion for Eight Hour Anger Management will be instantly sent to your inbox. Once the course is purchased, you will immediately be emailed the password code and instructions to access the course. 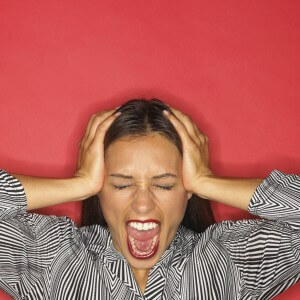 We guarantee that you will find our anger management classes to be informative and helpful. Get started today for only $49.99! If you are in need of a face to face session to supplement the online course please call the office to discuss pricing. A face to face session can be completed using electronic means or at our office in Jacksonville, Florida. We also offer help for disruptive physicians, disruptive employees, disruptive lawyers, and for other disruptive professionals. We provide emergent on-site interventions and consultations for your most difficult employees. Flexible treatment plans are available at our Jacksonville, Florida office based on your specific needs. We are available to assist you and your employees. Call us today!